Piper’s Biographic lectures are some of my favourite listening when I go out for a walk. 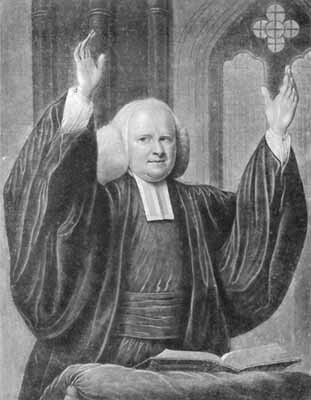 I loved this story that a man recorded of George Whitefield’s. Do I shy away too much from emotion? A relationship with God is fundemantally a relational and personal thing: have I allowed it to become too much of a head thing & not enough of the heart? I’m not a Whitefield (who is? the guy preached up to 1000 sermons a year!) but that doesn’t mean I ought to shy away from the emotional truth of the gospel.